Per’l Xlim, Rahsia Wanita Kekal Mempersona! Food has always been my best friend. I just couldn’t say no to them. Untill one day, I was introduced to a new friend called “Per’l Xlim”. How did we know each other? 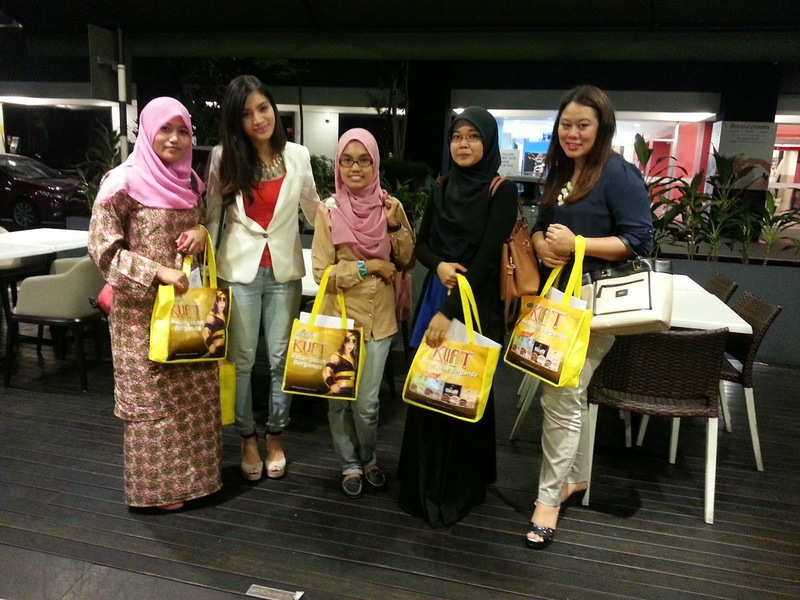 Few days back I attended Per’l Xlim Bloggers meet up session @ Alessio, Publika. It was the day I was introduce to my new friend along with other reputable bloggers. The intimate meeting among us started with a brief video introduction by each blogger. Left our autograph. We mingled around, taking selfie and of course lots of photos. The new friend, comes in 2 Two is always better than one aite? You will see more photos of me and Per’l Xlim. Apologize for the not so bright & clear photo. Dinner was served, varieties of Italian food @ Alessio, Publika. 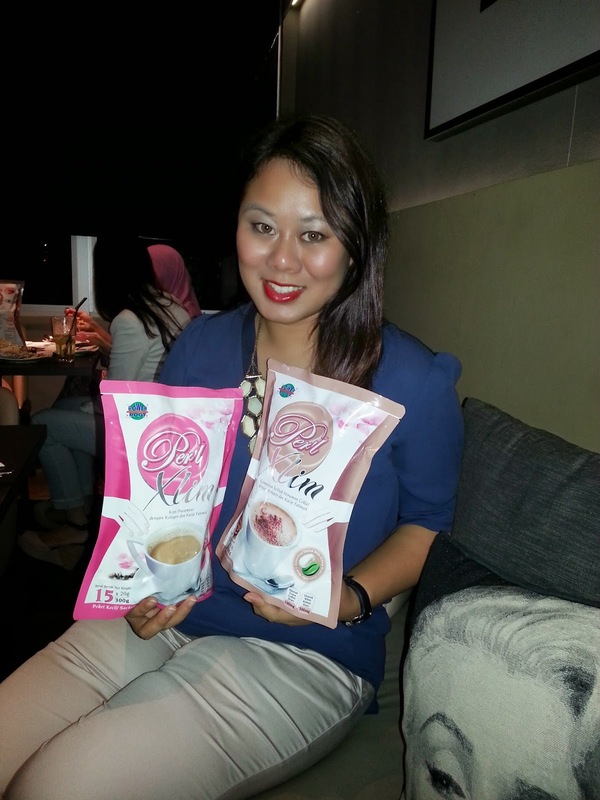 Then, we were briefed by Power Root Marketing Manager, Ms. Chan. Before I get into the details, I am very sure Power Root is very familiar to all of you. Power Root is the leading company that produces herbal energy drinks with “Tongkat Ali” and “Kacip Fatimah”. 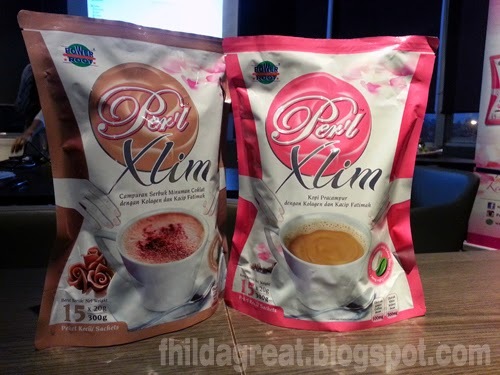 Per’l Xlim Café (Coffee flavour) and Per’l Xlim Choco (Cholocate flavour). 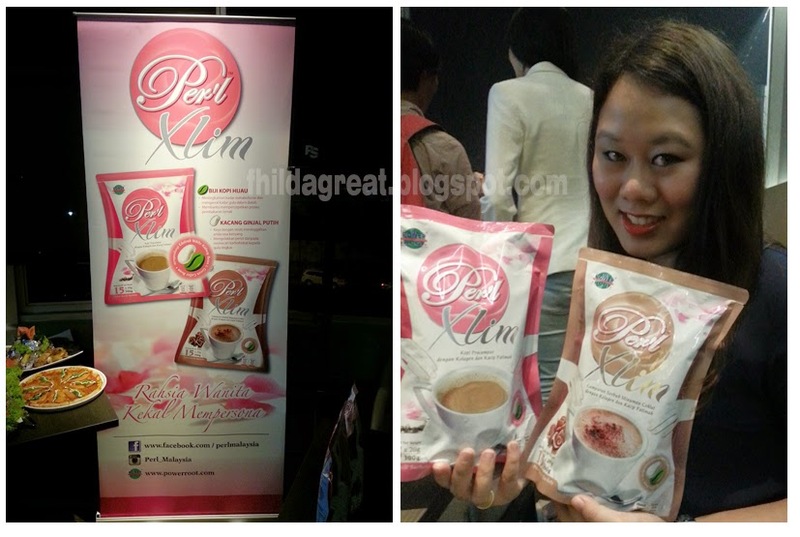 It’s the 1st mass produce slimming hot beverage in the market. Can you easily find a slimming product in the supermarket? Did you notice that the packaging with a curve design-looks like a women’s body? Specially made for ladies out there who loves coffee and chocolate. 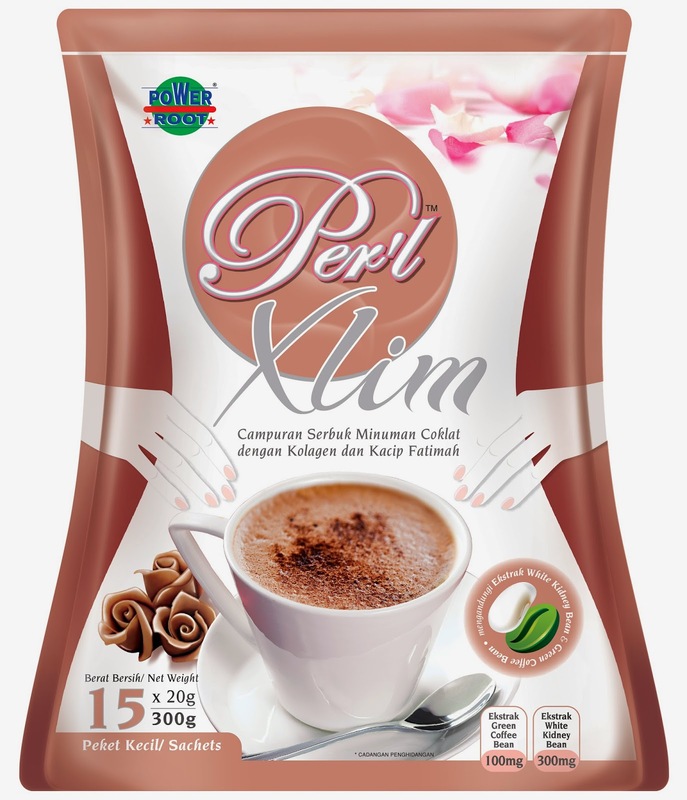 How does Per’l Xlim helps to slim your body? It’s ingredients- the green coffee bean & white kidney bean. The green coffee beans are the coffee beans that have not yet been roasted. Green coffee extract was originated from Europe. These coffee beans contain higher amount of chemical called chlorogenic acid. Chlorogenic acid in green coffee affect the way the body handles blood sugar and metabolism. When we eat, our body converts digestible carbohydrates into blood sugar (Glucose). Glucose provides us main source of energy. If we do not burn the calories,it will stores in the body as fat. However, the chlorogenic acid,it slows absorption of fat from our food intake and will activates our metabolism of extra fat. Thus, giving the fat burning action and it gives us slimming effect. It’s called white kidney beans due to it’s convex shape that resembles the kidney and contain both soluble and insoluble dietary fiber. They are considered as superfoods as it contains high mineral, vitamin, protein and fiber content. The white kidney beans prevent the stomach from breaking carbs down into simple sugars-so that our calories will not be absorbed into our body. The white kidney bean extract was originated from India. It also helps to prevent constipation. Besides these 2 ingredients, it also contains Collagen & Kacip Fatimah. Collagen– gives you better skin condition (elasticity, reduce wrinkles & pigmentation, better firmness) and also rejuvenate healthy hair & nail. Awesome isn’t? Kacip Fatimah-known for it’s benefits  It contains element of antioxidant & phytoestrogen, stabilize hormones in our body, delays aging. How do we consume Per’l Xlim? You have to take it twice (2 times) a day. Just drink it 30 mins before breakfast & lunch. (it’s about half of a mug/ full kopitiam cup). For a start, you can drink it 2 times daily. After 3 months drink it 1 time daily to maintain your weight. 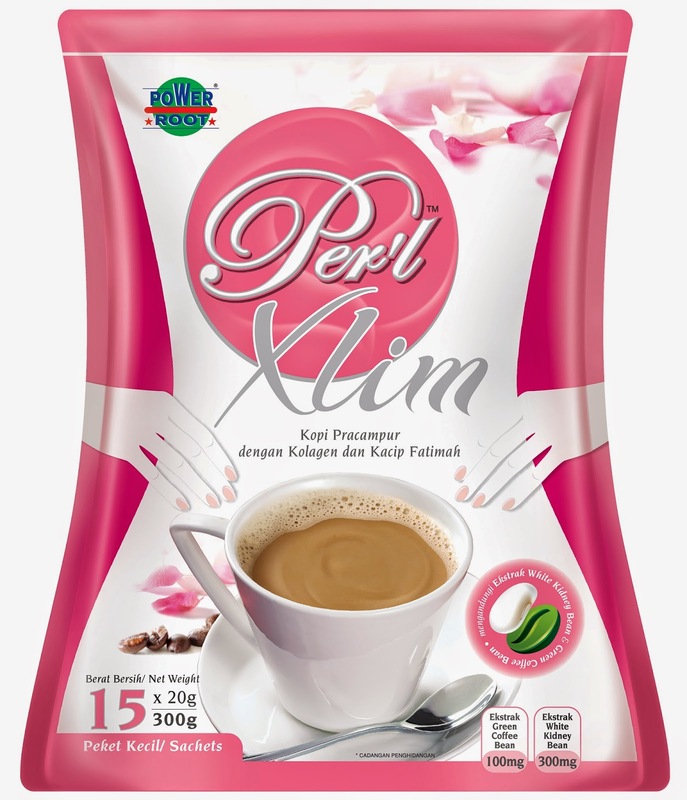 What are the benefit of Per’l Xlim? Whenever I am feeling thirsty, I will drink a lot of water. It will help to promote detoxfication process. 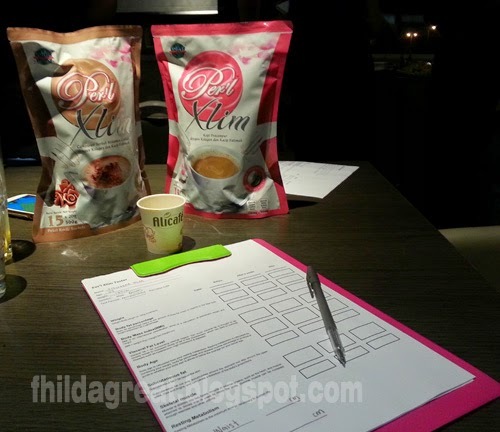 Then, all of us tasted the Per’l Xlim Café. Honestly, I am not a coffee drinker but this was different. It was a good one. You MUST give it a try, you will love it-just amazing taste with full of benefits and most important, it helps you to lose weight. Rahsia Wanita Kekal Mempersona ! We kissed goodbye and do stay tune, I will reveal you the secret of Per’l Xlim. So far, I’ve consumed it for 4 days, I enjoyed both Per’l Xlim in Coffee and Chocolate flavour. It gives me more energy, I easily feeling full and I just can’t wait to see the result. Thank you Power Root, I think I’ve fallen in love with coffee and the chocolate is just as good.